Beneath my feet a blur of yellow trails behind a white cone of light cutting through the darkness bringing with it a cacophonous roar. As the yellow blur pushes through the corner it illuminates a sea of red, white and blue stripes out ahead of it before disappearing down the straight off to my right, the engine protesting the down shifts with a snarl before taking the next turn . A few seconds later a ball of light attached to a long, silver body whispers through the same corner before disappearing like it’s yellow counterpart. It must be one of the Audis. 25 floors up, I see the same sight of lights piercing the wet darkness while engines shout with all of their might. 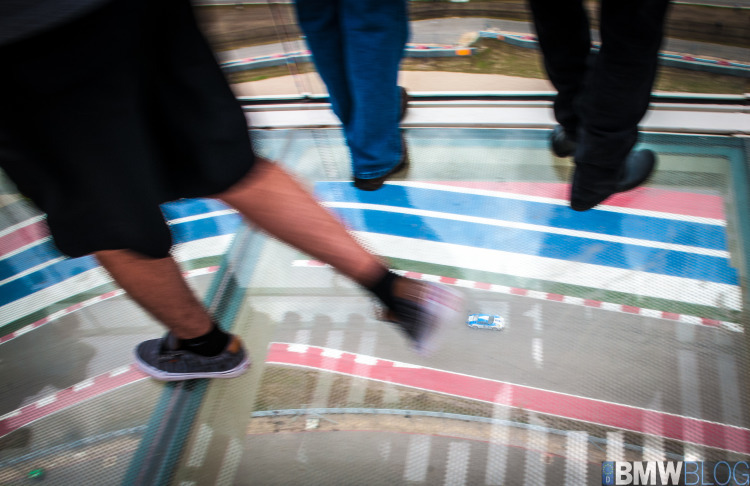 Yes, the view from the observation deck of the Circuit of the Americas is quite good it would seem. I was watching the 6 Hours of the Circuit of the Americas play out in front of me as the fourth race of the World Endurance Championship and the race just after June’s 24 Hours of Le Mans. The field was composed of a myriad of vehicles such as the Audi hybrid prototypes, it’s brother-from-another-mother the Porsche 919 and Toyota’s TS040 prototype in addition to the massive field of 911s, Ferraris and Corvettes. However, the WEC race was only the tip of iceberg for motor sport-filed weekend at America’s newest Formula One-certified track. The weekend started with a few airport connectors to drop me down into Austin to meet up with a team of fellow enthusiasts who also happen to work for Michelin and a number of other journalists. 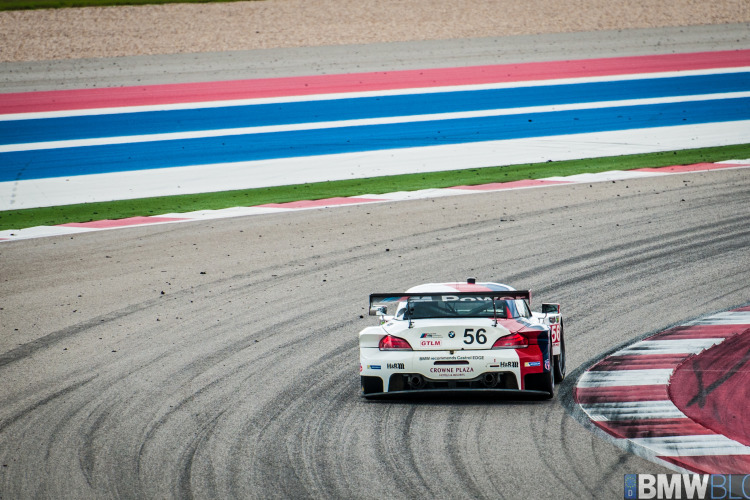 After getting settled in the thumping downtown of Austin everyone had one idea in mind: get to the circuit as fast as possible to catch qualifying for the second to last race of the season for the TUDOR series and perhaps even WEC’s qualifying session. Arriving trackside came with a familiar greeting of the TUDOR GT class qualifying in the way of the high pitched shrill of Ferrari V8s, bombastic Corvettes, throaty Z4’s along with the omnipresent howl of Porsche flat sixes as the field ascended skyward towards turn one before diving back into the infield. Walking the circuit we were able to climb the bridges to get better line of sight of the as TUDOR series cars lapped. As the sun began to fall and grey clouds began to swell above the circuit, we retreated to the grandstands on the pit side to get a good vantage point of the traffic piling up and departing their respective pit boxes. From above pit lane, I found myself in a concrete valley of engine noises from the pit lane and front straight as exhaust notes reverberated off of the grandstands. Below me, a flurry of activity of fuel and tire changes were executed with aplomb. 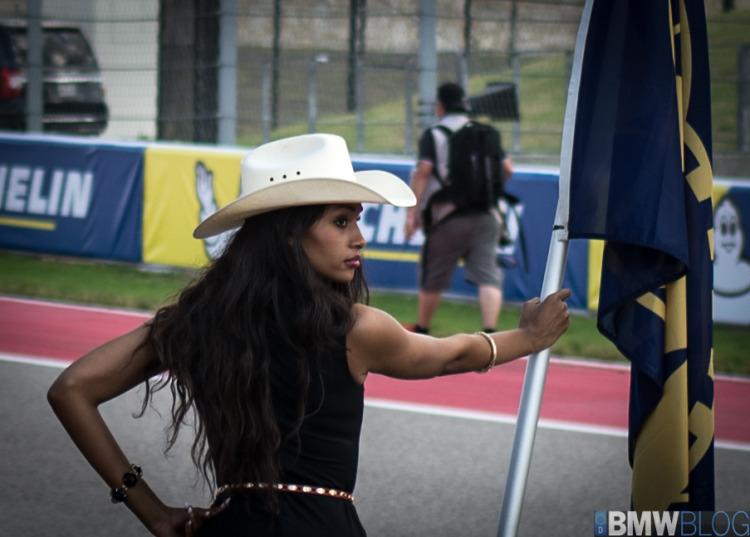 Just prior to departure from the circuit, I found myself at the north end of grandstands, leaning out over the well-intended and well-positioned catch net snapping off photos as quickly as possible as TUDOR qualifying came to an end and WEC qualifying and night practice began. In hindsight, I believe Dr. Ullrich of Audi Sport no doubt appreciated not having an iPhone come crashing down onto the immaculate body work of one of his Audi R18 e-tron’s. Alas, due to an early departure for dinner, I was unable to see the Audis, Porsches and Toyotas duke it out for the first spot on the grid for Saturday’s race. After a dinner at Salt Lick and what felt like enough barbecue shoved into me that I may give birth, it was off to bed before an early, pre-8AM departure for the circuit. Prior to a tour of the pit lane courtesy of Michelin, walking the paddock was like the racing equivalent of walking the red carpet at the Oscars. Patrick Dempsey scooted by in a golf cart, looking impeccable, I was able to quickly speak with BMW Team RLL’s affable Bill Auberlen, Bobby Rahal was camped out chatting in a golf cart near their trailer. The line for Mark Webber’s autograph session was already nearly extending out of the infield and to the parking lot! After a quick walk around the paddock, Michelin gathered us for an introduction to their brand’s participation in the highest tier of endurance racing. Ironically, Michelin is, of course, a brand that needs no introduction when it comes to racing clout as in addition to supplying tires to Formula One throughout its 50+ year history, has enjoyed success after success in European and U.S. endurance racing at circuits like Sebring, Watkins Glen and Laguna Seca. In Europe, Michelin has conquered all at circuits like Spa Francorchamps, the Nurburgring and, undoubtedly, the Circuit de la Sarthe on their home turf. Moving through the paddock, we were provided with a narrated tour of the intricacies of what a race weekend means for both the teams and tire suppliers such as Michelin. Most interestingly, Michelin does not sell a single tire to any of the racing teams but rather leases them. The reason? Trade secrets. Michelin dare not let the likes of a Dunlop or Pirelli get their hands on Michelin racing rubber. One such development on that front is Michelin’s newer hybrid racing tire that works in both the dry and the wet. While this may seem contradictory in terms of the racing slicks versus grooved rain tires, these innovative tires allow for teams to balance performance in mixed weather conditions which are typically found across longer endurance circuits like the Circuit de la Sarthe or Spa where rain is all but guaranteed to strike at some point during the race and only in pockets are the circuit. With these hybrid tires, teams using them benefit from strong performance regardless of the weather conditions as well as a quick ability to heat up, thereby adding grip and without the quick degradation of traditional rain tires as seen in Formula One this season when the track conditions begin to dry out. The likes of Audi and Toyota have already tested these tires in mixed conditions at Spa with terrific results, the former going so far as to attribute the victory, in part, to their tires. Interestingly, rain tires would later prove to be a significant factor in the WEC 6 hour race when the swelling gray clouds from the prior day decided to unleash all they held. Beyond the rain tires, Michelin was also on hand in support of their motor sport partners of Porsche Motorsport both for the 919 hybrid prototype and the 3 911 RSRs racing in LMGTE Pro, Audi and Toyota in LMP1 and, new to the WEC game, the Corvette C7.R. The Corvette proved to be an interesting case as the team was set to run in both the earlier TUDOR Series race as well as the WEC race. 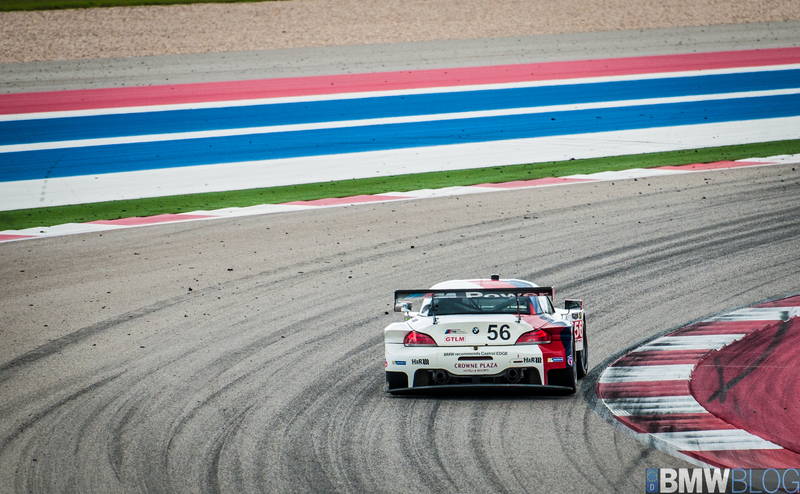 As such, Michelin came extra-prepared to handle the demands of back-to-back races for Corvette Racing – ex. BMW racer Tommy Milner and the Taylor brothers doing double-duty on that Saturday. 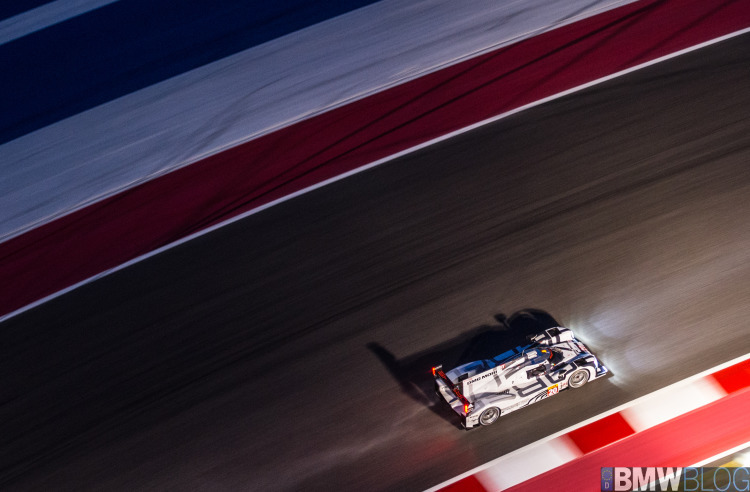 After a quick, nearly 3 hour race for the TUDOR Series, BMW Team RLL found themselves in sixth and seventh position in GTLM as the sun began to set on the Lone Star Le Mans race. Unfortunate results but admittedly amongst some of the toughest racing in North America and what some may consider as biased rules against the pair of fixed roof BMW coupes. However, a bright spot of the race marked the 300th race entry for Turner Motorsport – a hallmark of BMW racing and pillar in the enthusiast community. As the afternoon slipped away and the mostly Michelin-wearing line-up took to the grid I clamored up to the Spirit of Le Mans lounge to watch the start. As the field of prototypes and GTE cars, thousands of horsepower seething forward at once, tore down the front straight, looking skyward revealed that mother nature had something far more powerful in store. Only an hour or so into the race saw the back of the circuit suffer a deluge of rain so fast and so heavy that cars from all classes were slipping off the circuit due to hydroplaning through braking zones. 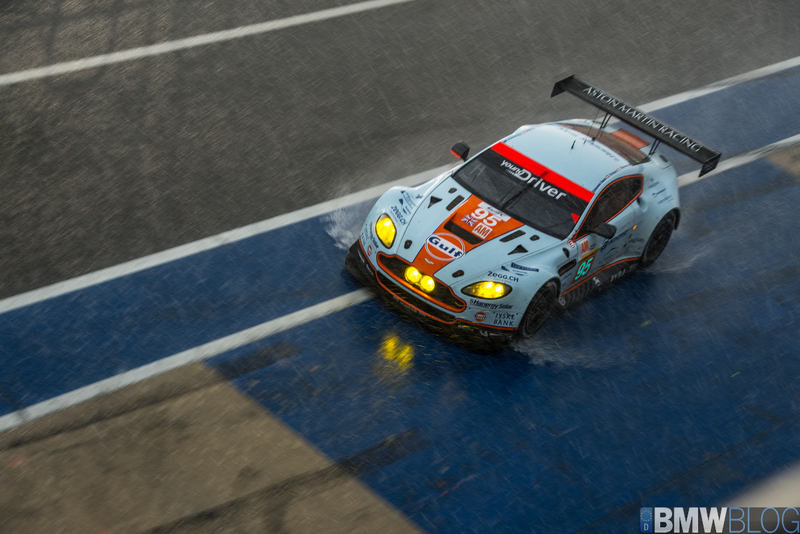 The rain became so overwhelming that the race was eventually red flagged for about 30 minutes sending many racers into the pits for tire changes and fuel before coming to rest just under the leaderboard along the front straight. 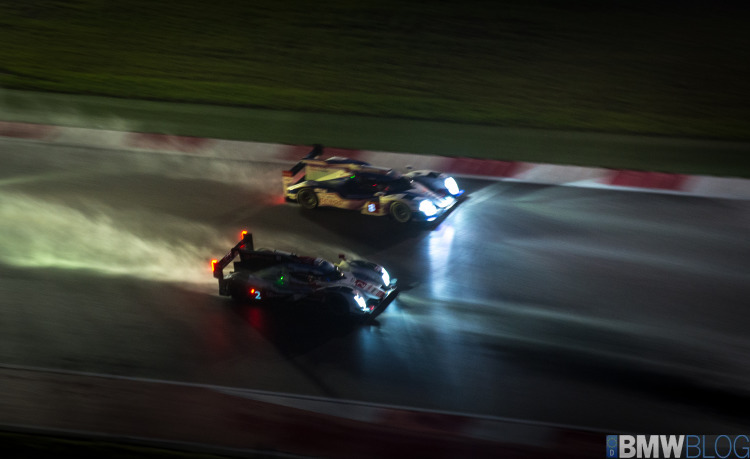 After the restart, the pair of Audi R18’s quickly found their pace toward the front of the pack, illuminating the way for the rest of the field as day slipped to night. The damp circuit suddenly came alive with the glare of the headlamps of race cars and the minimal circuit lighting dancing across the patriotic run-off areas. By race end, the No. 2 and No. 1 Audis found themselves in a 1-2 finish, respectively, for both LMP1 and overall while Michelin-equipped, raucous Aston Martin V8 Vantages took wins in LMGTE Pro and LMGTE Am. Michelin, for its critical part in the race, proved once more it is a leader of racing no matter the challenge, no matter the conditions. What’s more, during our tour of the pit lane it was revealed that much of the data gleaned from the racing slicks used in top tier race cars has already been applied to the Michelin Pilot Super Sports already found on many performance cars in the market. Proof that there is still no better way to evaluate what’s best for the customer than race testing a product and something I took solace for my own set of Michelin Super Sports. Next post 2014 Buick Encore vs 2014 BMW X1 – A fair comparison?